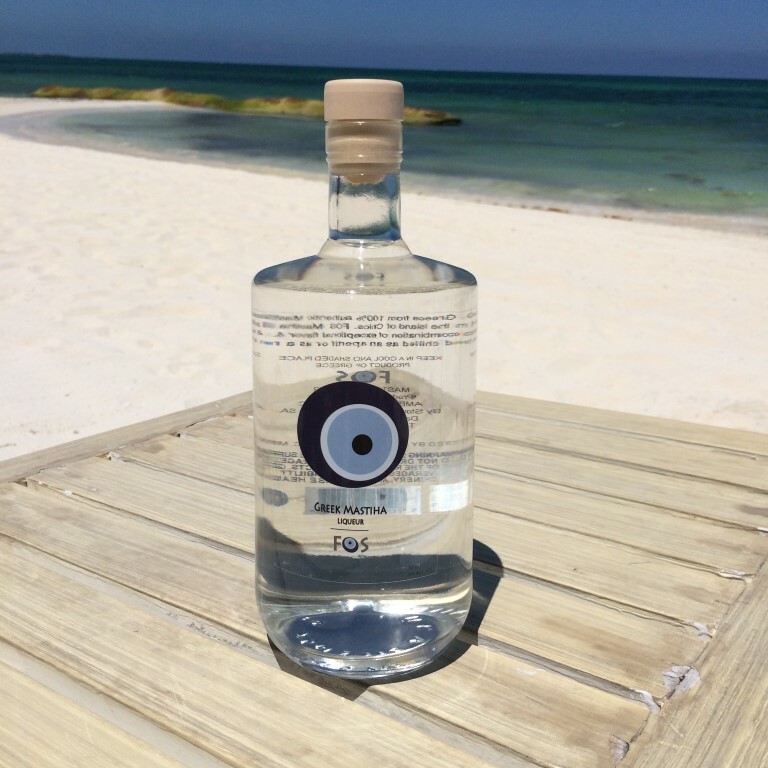 Mastiha is a unique spirit made exclusively in the Mediterranean, and it is best known on the Greek island of Chios, where it has protected status. A cousin of ouzo, it is a liqueur that starts with neutral spirits and flavors that with resin from the mastiha tree, also known as the crying tree. “The resin droplets, known as mastiha tears, are left to slowly seep out of the bark and dry in the natural sunlight to form translucent golden crystals. Before the first autumn rain, when the tears are ready to be harvested, the area around the tree is cleaned, leveled, and coated in a fine white soil on which the tears fall and are gathered,” per the company that is making FOS. (The tears look a lot like demerara sugar crystals.) Additional “secret ingredients and special formulas” give FOS its ultimate character. Presented as a moderate-proof liqueur, FOS Greek Mastiha offers a nose of pine needles, anise, and eucalyptus — making one instantly recall Greece’s infamous retsina wine. That’s not intended as a slight, for FOS tastes less like Pine-Sol and more like an evergreen-dusted lemon candy — sweet, with a lacing of, well, resin. That resin character hangs with you for quite awhile, its sweetness never quite overcome by the heavy herbal component, but rather oddly complemented by it. Like ouzo, it’s nothing I’d turn to on a regular basis, but I could see how this stuff could grow on you.